Over the last 10 years, we’ve focused on developing restaurant scheduling software that’s intuitive and easy to use, that shaves hours of schedule-making every week as well as heaps of daily labor cost. 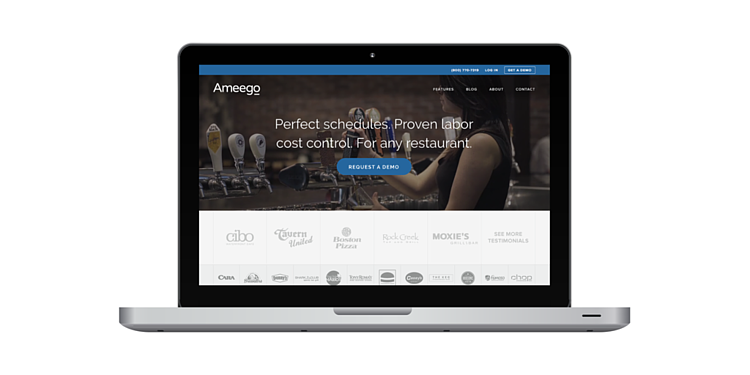 Along the way, we realized we could do even more for the restaurant operators who have come to rely on Ameego: We could be a resource hub for all things related to labor costs and managing restaurant staff. We understood from the beginning that fluff would have no place on our pages. We would not be a slave to SEO. Instead, we would give valuable insight, concrete information, tools you’d really use, social proof. And we did it. And then we needed a way to showcase all that we had created—the articles, the case studies, the tools, the information about Ameego’s features. A place that would be as slick and easy to use as the software restaurant operators across North America are using to help improve profits and happiness. Introducing, the shiny new Ameego website. It’s kind of a big deal. We went from having four pages and some amazing blog articles people didn’t really know were there, to having…a lot more pages where you’ll learn the value of using Ameego, the same amazing blog articles, and a stack of other resources and tools we can’t wait for you to see. What if you could earn back a few or even several hours every week? What if you could generate more profits for your restaurant with just a few simple changes? Time and Money: A Restaurant Operator’s Guide to Gaining More of Both is our ebook and our expert advice on solving restaurant managers’ two biggest challenges. Time and Money outlines five steps you can take to earn more time for the most important tasks, and more profits for a thriving restaurant you’ll be proud of. Download a copy of the ebook here. Why does Boston Pizza franchisee Craig Poleshuk use Ameego 10 years after signing on? What difference has it made for his managers and guests? Our video testimonials answer restaurant managers’ most important questions when it comes to using restaurant scheduling software. In these videos, you hear actual operators talk about our platform and how it’s helped their business. 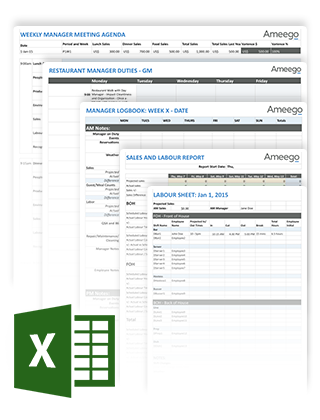 Now you can see firsthand when Ameego’s used effectively, the potential results that follow. We’re proud to have such an amazing client base quick to speak to the benefits of Ameego, and all that we’ve been working towards over the last 10 years. To view some of our other client videos, click here. Download your free copy of the kit here. In 2015, several provinces increased the minimum wage, and in some cases those hikes will occur in stages over the span of a few years. For restaurant operators, this presents a major challenge: The new rate will inevitably impact the bottom line. But how much? Find out almost instantly what that dollar-per-hour change will cost your restaurant by plugging in just a few numbers. 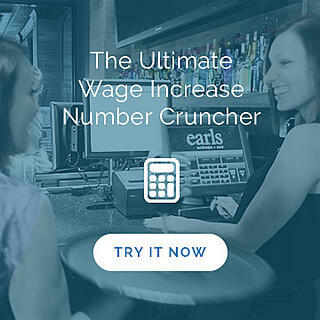 Click here to visit the number cruncher! What are some of the ways other operators are handling minimum wage increases? How can you reduce staff turnover? What’s the value of staff feedback? Unscheduled, the Ameego blog, is kind of like the textbook you actually want to read about cutting labor costs, creating an amazing culture and coping with changes to the industry. If you weren’t already a reader, now’s the time to access engaging, insightful and original articles about making your restaurant a better place to work and dine! Now that you know about the valuable resources available to you, what are you waiting for? Test drive the new Ameego website. And when you’re ready to learn more about controlling labor costs with our software, you know where to find us!